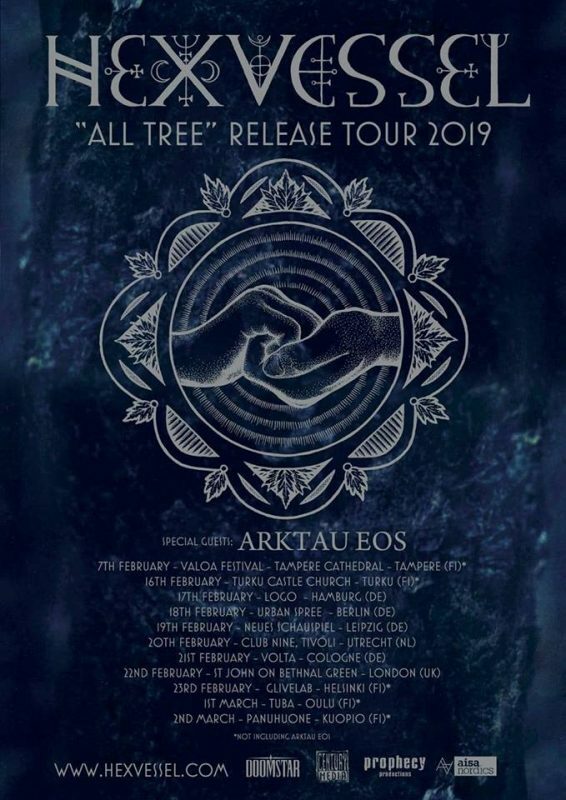 The final dates of the Hexvessel & Arktau Eos tour! Here is the Hexvessel tour poster complete with the final dates (Cologne added). Arktau Eos will join Hexvessel as special guests on 17–22 February.